Every artist is told - practice, practice, practice. But it is not always easy to do this, since life tends sometimes to get in the way. So finding a way to keep doing art is always important but nonetheless often challenging. However, I listened with interest to an interview done on NPR a couple of days ago by Rachel Martin. She was talking to famed photographer David Hume Kennerly about his new adventures with his iPhone 5 which he used as a camera. Having pared down his equipment to this one "camera", he set out to photograph the world around him in a very simple fashion, returning to basics of observation and curiosity. The resultant book, "David Hume Kennerly On The iPhone: Secrets And Tips From A Pulitzer Prize-winning Photographer", has just come out. He set himself the challenge of going out into his neighbourhood and taking at least five photographs a day, trying to look at the familiar and perhaps even the trivial around him in a new fashion. It was a way to sharpen his skills and extend his powers of seeing. In other words, it was the perfect example of practice, practice, practice to improve as an artist. It was, as he described, his "photo fitness workout". The parallel I made, as I listened to Mr. Kennerly talking - and remember, this is a revered photographer and Pulitzer prize winner talking - was the advice to go out with a simple, small drawing book and drawing tool. As a visual artist, I have always considered drawing to be the basis of understanding whatever it is that I am seeing in the world around me. It takes seconds to make marks on a drawing book page - but whatever you are drawing then "belongs" to you. You know it, understand it better, remember it. It has become an integral part of you by the actions of mark making as your eye, brain and hand interact to record that simple object or sight. Countless artists, down the ages, have done this. Having absorbed the image, it is then easier to edit and strengthen it, transmute it to something else. In other words, you can create art. Just as Mr. Kennerly created art through his simple medium of the iPhone, so each of us can use the image captured as the springboard to something else. Or just use the moment as a "limbering up", an exercice to keep eye/brain/hand coordination and skills. 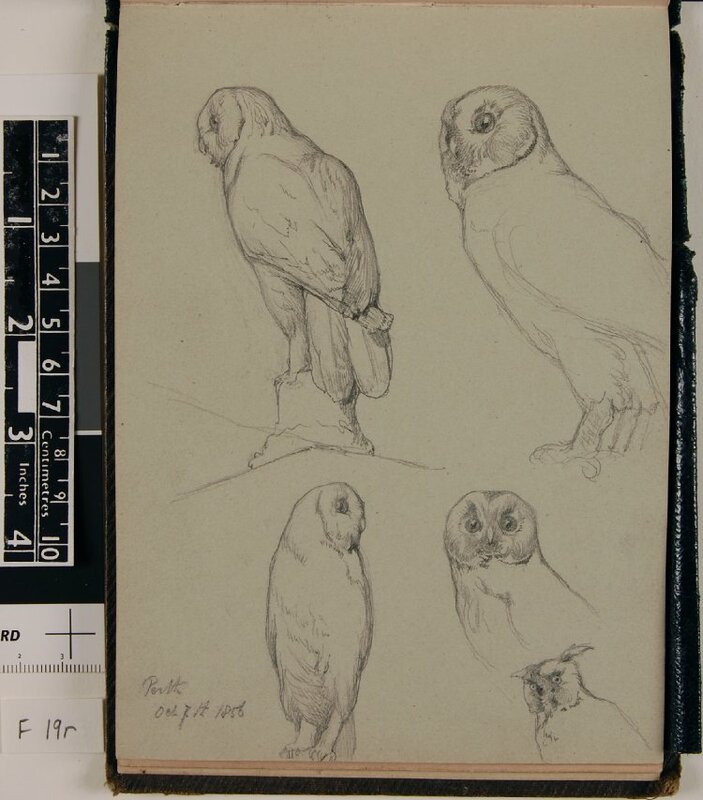 Just look at what Turner did in his wonderful sketchbooks. Five quick drawings a day - a diary of one's voyage through life as you look around you, a record of moments of fascination and interest. And a way of remembering each day that your passion in life revolves around art. Not a bad bargain to make. David Hume Kennerly's example is a wonderful one to follow for us all, in whatever version of art-making. Between spending my days in hospitals and hotels, there has been little time in the last six weeks to remember about my real passion in life, art. Nonetheless, luck lent me a day of being able to talk about art-making, the joys and fascinations - and challenges - that come with it. I felt a little like this watercolour painting that I had done in early January, which I entitled Aloe Exuberance. The talk I was giving about art was at the end of my exhibition, Brush or Stylus: Jeannine Cook's Choices, at the spacious Albany Arts Council gallery in Albany, Georgia. A roomful of ladies and one gentleman gathered at lunchtime: I soon learnt that most of them were watercolour artists, some art teachers, and most were also curious about metalpoint drawing. It was really restorative to be talking about my passion for art and about how I approached art-making. Each of us is very individualistic about this process of creation, but nonetheless, as I reminded my audience, there is a unifying element to it all. Beyond the life experience that each of us brings to art, there are the basics of technique, in whatever medium being used. Being able to draw, from real life, is for me of prime importance. It doesn't mean that the finished result will even resemble what is in front of one; that is not really the point. Drawing this way enables one to understand how the object works in space, how it is weighted, how it is articulated, how it smells and feels... Even if later, the resultant art is abstract, there is a veracity, a knowledge implied that help to convey what the artist is trying to say. This understanding aids in composition, in colour planning in a painting, in catching the light, in organising what one is trying to depict. Obviously, in a finished drawing, the initial understanding and exploration aid hugely, particularly if the drawing is in silverpoint/metalpoint, where no erasure nor alteration are possible. Being comfortable in the medium chosen, whether it be watercolour or other painting media, is crucial. That ease only comes with practice and understanding, but a realistic choice of pigments helps too. A limited palette is often much more harmonious and does not restrict the range of colours and tones at all. Being beguiled by all the brightest, newest and most luscious of pigments can be problematic in art! A little restraint often pays off and makes for a less complicated painting process. Perhaps the most important aspect to me of creating art is learning to listen to that small, interior voice in one's head. Trust it, because it allows the creation of truly individual pieces of art, expressions of you and you alone. You are a unique person and artist. Your own ideas and visions, your own way of expressing them, in an adequately professional technical fashion, are the path to your own artistic voice, one that will make you different from every other artist. Warbler Weaving, Palma - silverpoint, Jeannine Cook artist. As I reminded my audience in Albany, we are all products of complex, rich lives. Thus our art-making can be equally individualistic and special. In a way, this silverpoint drawing, Warbler Weaving, that I drew earlier this year, is a symbol of our creative lives as artists. We weave together so many strands of different things - large, small, fragile, strong- to create art that expresses who we are. The results go out into the world, sending messages and inviting shared experiences, as the creative circle is completed between artist and viewer. In the same way, this exquisite little nest I found goes from being a home in which to rear nestlings to sharing the warbler's magical creation with a wider human audience. I was so grateful to the Albany Arts Council and its gracious Executive Director, Carol Hetzler, for allowing me to share my passion for art. It enabled me to remember that I need to return to creating art, very soon. Mary Whyte is a watercolourist whom I have long admired, ever since I saw her work at her husband's gallery, Coleman Fine Art, in Charleston, South Carolina. It was thus a treat to be able to see a large body of her work, Working South, currently on display at the Telfair Museums in Savannah, Georgia. The exhibition apparently grew out of one of those lucky coincidences and flashes of inspiration: she was painting a portrait of a Greenville banker and they were commenting on the number of lay-offs announced in the local textile mills. A chance reply to her about the fact that in ten years, all the mills would be gone sparked the idea to record and paint people who were working in the large number of disappearing occupations; from crabbers and textile mill workers to loggers and small hog farmers. Mary Whyte set out to find and paint workers in these different worlds in the South. Three years of work produced the exhibition now at the Telfair. There is a felicitous mixture of large finished watercolour paintings and the small studies and preparatory drawings on display. It is always good to see how careful preparations and study, learning about the people, the places, the look and feel of a subject, with accompanying journal notes, small drawings and paintings, help ensure a good result in the final work of art. It is a salient point we all ought to register as artists! What is also fascinating and impressive about these watercolours is their combination of tight realism in faces, hands and arms for each portrait, and then the fluid, abstract use of watercolour's rich capacity to meld and swirl billows of colour in other parts of the painting. Underpinning all this skill is, in each case, a sense of dramatic, arresting composition, an arrangement of shapes that goes to the essence of the occupation or industry Whyte is depicting. One of the most interesting of these paintings, for me, was this highly evocative depiction of elderly musicians marching to honour the dead in this Miami, FL, cemetery, a custom that is almost gone. Whtye's ability to go from tight, detailed realism to the most diaphanous of "mists" of colour, melding bodies and ground, with the mighty banyan tree as abstract counterpoint, was impressive. This exhibition is well worth visiting - several times! Some while ago, I was fortunate enough to inherit a painting I had always loved in my family home. A coastal scene with a wonderful foreground frieze of golden gorse, it had always delighted me with its luminously expansive feel. I had been told that it was painted from the veranda of my family's home in Albany, Western Australia, but that was all I knew. One day, I decided to start investigating to see what I could learn about the work. I copied onto paper the almost illegible signature, and eventually started working on Google, trying out whatever I could decipher. Google came up trumps - which, in a way, is less and less of a surprise as time and the reach of Google have taught us all. The signature was of an Australian woman artist, Ellis Rowan,who was active, and prominent, in the late 19th and early 20th century. As I learned a little more about her intriguing, adventurous life, and her skills at self promotion as she developed her career as a "flower painter", I was filled with admiration. I was also delighted to find that she had connections with my redoutable great grandmother, Ethel Clifton Hassell - another very strong character by all accounts. Pushing all sorts of boundaries as a woman, Marian Ellis Rowan seemed to make no concessions in her pursuit of flowers to paint and places that might be of interest. Ellis Rowan travelled several times to Western Australia, following in the footsteps of her much admired flower painter role model, Marianne North, who travelled the world to paint flower species during the 19th century, finally endowing Kew Gardens with a gallery for her wonderful works. It was thus natural for Ellis Rowan to meet my great grandmother, a community leader in Western Australia and a flower lover. They possibly got on well and I can imagine the scene of Ellis Rowan settling down on the veranda at Hillside, the Hassell home in Albany, to paint the view out to King George Sound. Her skill in painting was considerable, especially given that she often used gouache, which is quick drying and often difficult as a medium. She also used watercolours and oils. Birds and flowers, of preference tropical, colourful and exotic, were Ellis Rowan's favourite subject matter, and many of her paintings in the National Library in Australia show her skills. She was prolific, and consequently, there is a marvellous diversity in her work. These are but a tiny sample of her flower paintings. A wonderful quote from Sir Anthony Caro, the famed British sculptor, was in the 2/9th June 2012 Spectator: "I believe art is about what it is to be alive". The article was by Ariane Bankes, discussing Caro's current exhibition of sculpture at Chatsworth House in Derbyshire. 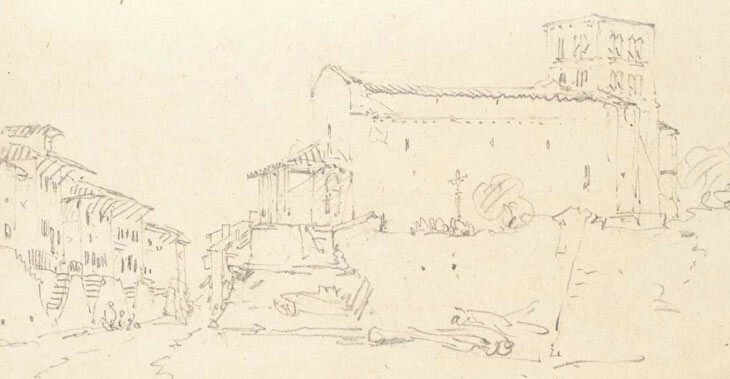 Ms. Bankes was writing of Caro's huge and unending curiosity about the world around him, and his use of these interests as the source of his creative work. It reminded me how important it is to be curious about everything around one: as an artist, antennae need to be up as much as possible, eyes and ears open, and a questing attitude cultivated. Not always easy and other things in "life" obtrude, but even then, it seems that later, things not consciously registered at the time come floating back into one's mind. I realised, the other day, that a day I had spent drawing on the coast was more rewarding than I had thought. I was concentrating on what I was trying to do at the time, but indeed, I was "alive" to many more things around me. The result was a watercolour that came flowing, quite some time after this day's drawing. The different elements of the painting - marshwrack, a contorted dead cedar, eythrinia flowers, a baby alligator, different birds - are those that I was not drawing at the time, but were burned in my memory because of the heightened senses that art was allowing me to have. A lovely gift. Capturing the energies and magical forces of life around one is a never-ending quest for an artist and a passport to living life to the full. Well, the house is turned upside down and has become an airy, spacious studio in which my artwork is out on display. The windows are clean, the floors scrubbed, the flood lights placed outside to turn the oak trees into wondrous night-time cathedrals. The guest list is filling fast and the caterers primed. All these are the rituals of preparing for my Art-Tasting, the fifteenth year I am doing this open studio and wine-tasting, now a tradition for many faithful friends and collectors. I am sure that every artist experiences the same moments of surprise, sometimes irritation, and general feeling of being able more dispassionately to assess the art hung at an exhibition. I find it an interesting experience every time my art is exhibited, for of course, each piece has a different conversation, depending in part on its neighbours and the general context. Displaying watercolours, silverpoint and graphite drawings together seems to work, thank goodness, and they are definitely the ying and yang of each other. However, a unity in matting and framing help pull everything together. The art of displaying is just as much a skill as the creation of any artwork - and one can constantly learn about placement, context, lighting, labelling. Now to hope that the weather gods will be kind for tomorrow - Cedar Point is always more beautiful in the soft December afternoon sunlight. Greeting guests and friends is a delight, however, no matter what the weather.